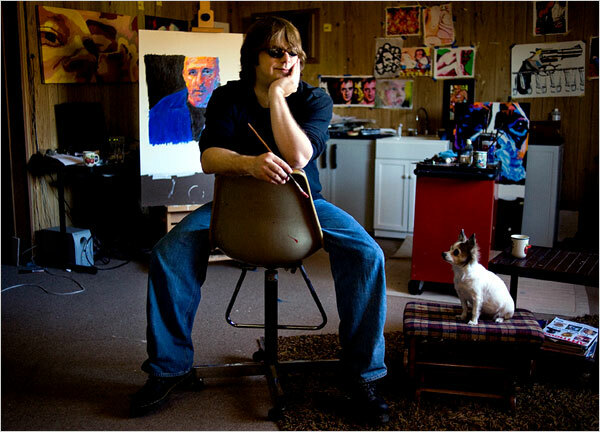 STILL PAINTING John Bramblitt, an artist, became completely blind in 2001. “It wasn’t until I lost my sight that I became brave enough to fail,” he said. From NYTimes.com - Determined to get his vision back in some way, Mr. Bramblitt picked up a bottle of white glue and began to draw outlines that he could feel with his fingers once the glue dried. He soon switched to a paint product that dried more quickly, and he learned to distinguish between different shades of oil paint based on their texture and viscosity.